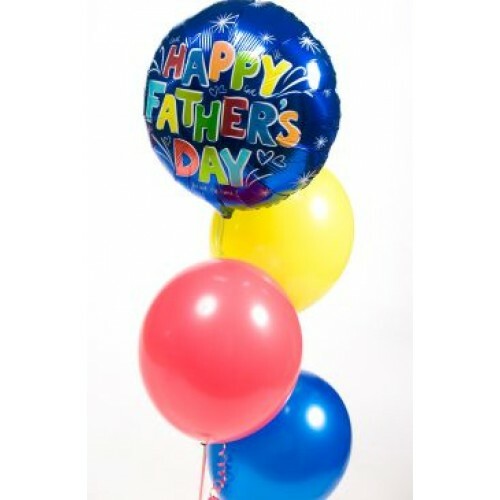 Father’s Day falls on the 18th of June 2017 and here at Balloonparty.ie we have great Father’s Day balloons to help you surprise Dad on Father’s Day. Keep reading to find out more about our Father’s Day balloons. 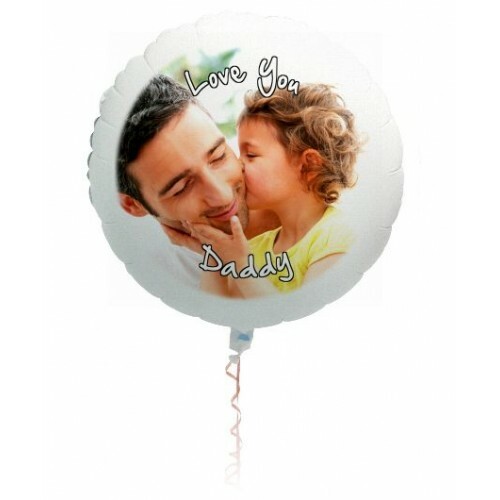 This Father’s Day 3 balloon centrepiece includes three helium filled 27cm (9in) balloons, ribbon & weight. The balloons are blue in colour and our trained staff will prepare your bouquet for collection at a time and store to suit you. Now available for only 7.95 Euro. Click Here to order now. 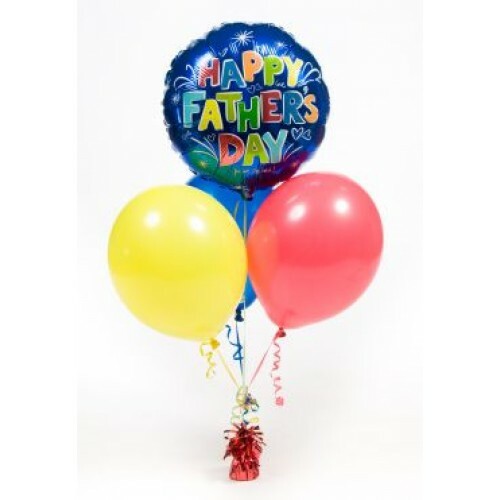 The Father’s Day Layered Centrepiece Balloon Bouquet is perfect for Dad on Father’s Day and includes a helium filled foil balloon 45cm (18in) that reads Happy Fathers Day and 3 helium filled 27cm (11in) high float latex balloons along with ribbon and weight. The featured image is what the Father’s Day balloons in the centrepiece would look like close up. Now available for 12.95 Euro. Click here to order this balloon bouquet now. This Father’s Day staggered centrepiece includes a foil balloon that reads Happy Father’s Day and 3 helium filled 27cm (9in) balloons, ribbon & weight. Select your favoured colours from the dropdown menu and our trained staff will prepare your bouquet for collection at a time and store to suit you. Now available for 12.95 Euro. Click here to order this balloon bouquet. Personalised balloons are great for every celebration including Father’s Day and thanks to floato, we can now create personalised balloons for any occasion. To order your personalised balloons, just select how many you would like, upload your image for the balloon and insert the text in the box. Then you can checkout! Now available for 18.95. Click here to order a personalised balloon now. Once we have created the balloons you wanted, you can collect them the next day in any of our 5 locations in Dublin, Cork, Limerick, Dundrum or Athlone or they will be dispatched to the address you gave us.